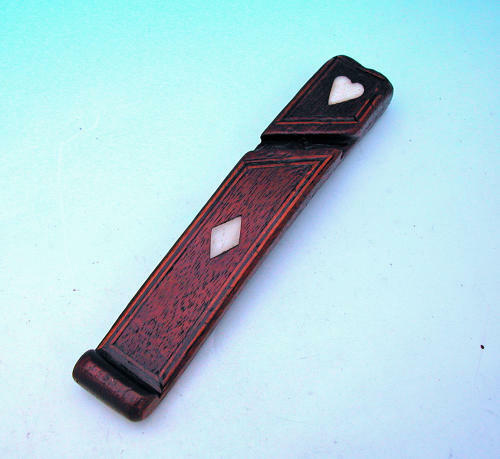 Antique 19thc Mahogany Inlaid Knitting Sheath. English C1840-60. An attractive 19thc Mahogany Knitting Sheath, with a Heart and a Diamond inset and Boxwood and Ebony stringing....very nice quality with an excellent colour.